Between Hereditary, A Quiet Place, and Halloween, 2018 was a killer year for horror movies—and 2019 is shaping up to be just as impressive. While remakes seem to be dominating the schedule in the coming months, there are plenty of sequels, adaptations, and even a few promising original titles coming out as well. Here are some of the scary movies we're most looking forward to seeing this year. Creepy kids will never fail to make terrifying horror movie villains. In The Prodigy, Taylor Schilling’s character discovers something supernatural might be happening to her son when he starts acting as if he’s possessed. (Spoiler alert: He probably is). The film will be released on Feb. 8, 2019. When rumors began swirling that there was going to be another Chucky movie, and that it would be a remake of the original Child’s Play at that, people—including the original series creator Don Mancini—didn't initially seem too excited. But as more details—with a cast list that includes Aubrey Plaza and Brian Tyree Henry—were made public, interest in the project seemed to grow. Child’s Play hits theaters June 21, 2019. Though Mary Lambert's original Pet Sematary (1989) was not met with much critical acclaim, fans of the Stephen King novel were pleased with the adaptation, and are excited to see the story come to life again. The remake, which is directed by Kevin Kölsch and Dennis Widmyer and stars John Lithgow and Jason Clarke, debuts on April 5, 2019. The hilariously bad-but-fun Happy Death Day (2017) surprised audiences with how flat-out entertaining it was, so much so that fans were thrilled to hear there were plans for a sequel. Much like the original movie, the second film will follow protagonist Tree Gelbman (Jessica Rothe) as she’s killed every single day. But this time, the killer is coming for her friends, too. Happy Death Day 2U premieres on Feb. 14, 2019. Venom director Ruben Fleischer's feature debut, 2009's Zombieland, was an instant hit with both horror and comedy fans. And they've been waiting 10 years for a sequel. Finally, we’ll be getting a second film this year with Fleischer directing and Emma Stone, Woody Harrelson, Jesse Eisenberg, Abigail Breslin, and even Bill Murray all confirmed to return. Zombieland 2 is set to hit theaters on Oct. 11, 2019. If you’ve been a horror fiend since childhood, you’ll no doubt remember Alvin Schwartz's Scary Stories to Tell in the Dark book series. The books included memorable illustrations by Stephen Gammell, some of which no doubt haunted many children’s nightmares. The film adaptation will be released on Aug. 9, 2019. Stephen King fans were thrilled with 2017's IT, the second adaptation of the horror master's beloved 1986 novel. Andy Muschietti is sitting in the director's chair again for the second chapter, which will follow the Losers Club as they return to Derry, Maine in their adult years. 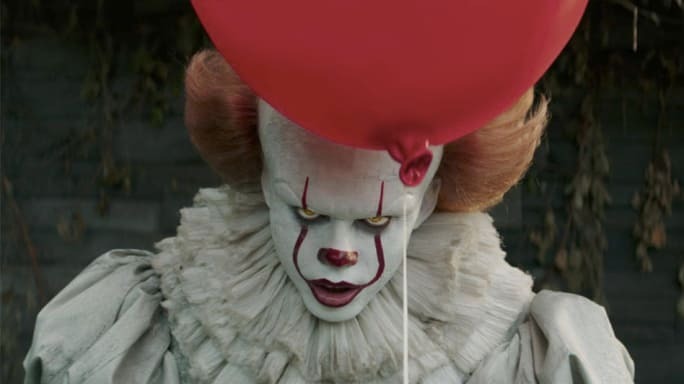 While Bill Skarsgård will reprise his role as Pennywise, impressive new additions to the cast include Jessica Chastain, Bill Hader, and James McAvoy. The film debuts on Sept. 6, 2019. In 2017, Jordan Peele revolutionized the horror genre with Get Out. The Academy Award-winning filmmaker plans to do the same again with Us, which features a predominantly black cast—a rarity for a horror movie. "I dedicated a lot of myself to creating a new horror mythology and a new monster," Peele said of the film. 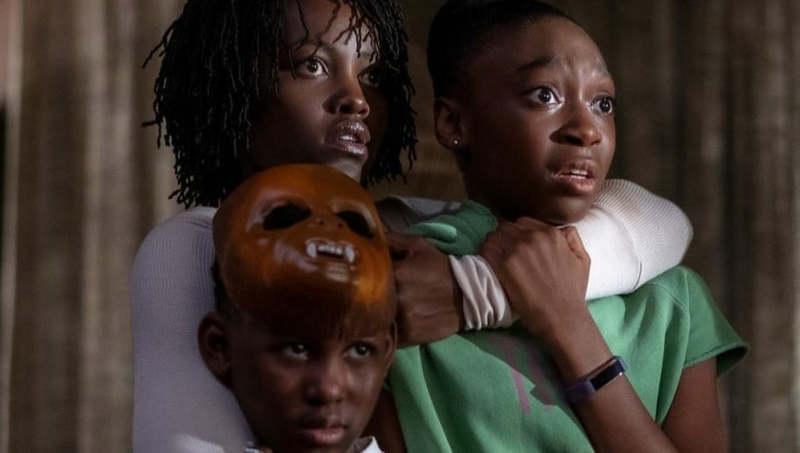 "I think that monsters and stories about monsters are our best ways of getting at deeper truths and facing our fears as a society ... It’s also important to note that this movie, unlike Get Out, is not about race. It is instead about something I feel has become an undeniable truth. That is the simple fact that we are our own worst enemies." Us arrives in theaters on March 22, 2019.